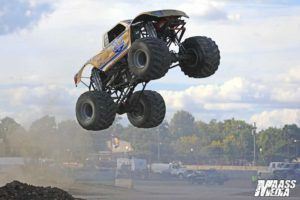 September 17, 2018 (Pacific, MO) – In less than a year’s time, Christian Norman went from a new BIGFOOT driver to the 2018 4-Wheel Jamboree Racing Champion! 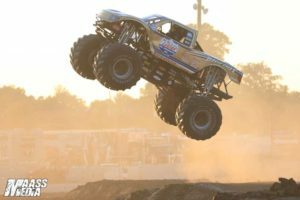 Early in 2018, Christian was thrown straight into the big time, competing in Snake Bite in the highly competitive Toughest Monster Truck Tour against his teammate Larry Swim and other top monster truck drivers. 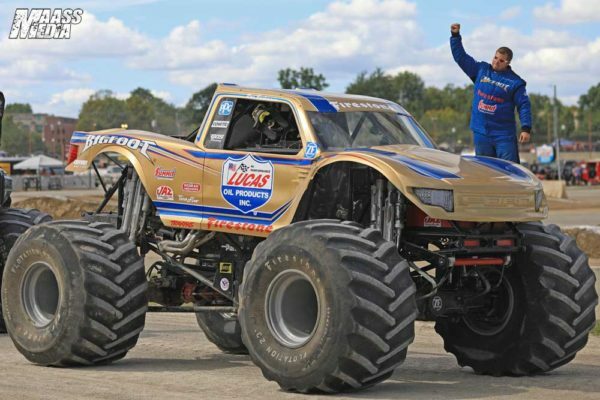 His success there convinced us all that he could handle the fast-paced, all-outdoor 4-Wheel Jamboree series. And boy did he! 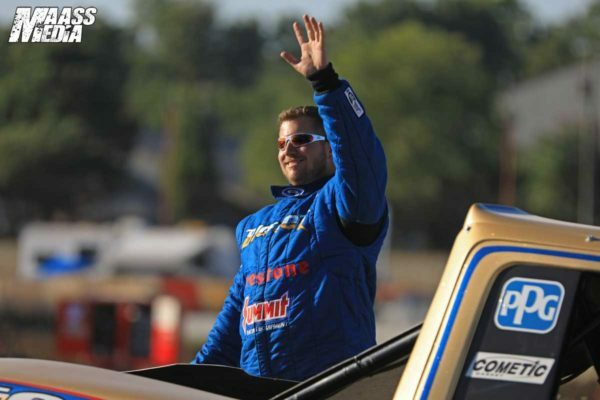 When Christian interviewed for the BIGFOOT driver position late last year, we realized immediately that his attitude was exactly what we wanted; little did we know that he would be such a natural driver! Christian had driven other monster trucks in the past, but didn’t have a lot of experience. However, we just couldn’t overlook his enthusiastic, confident, yet humble, demeanor. It seems that when you race with Larry Swim and have Dan Runte offering you advice at events, have Bryan and AJ teaching you about the trucks from the beginning of your BIGFOOT career, and have your brother and crew chief, Phillip, helping you, BIG things are bound to happen. With the retirement of the 2017 Champion and all of Larry and Darron Schnell’s other commitments, it was Christian’s chance to shine. The series didn’t start out so well, though, as the weekend in Lima, OH put the team in 4th place, 160 points behind the leader. Next up was Bloomsburg, PA, where they were able to pick up a racing win! This was quite a feat, as this is a tough venue and the set-up makes for a very long weekend. The boys moved up to 3rd place, but actually lost ground on points, ending the weekend 200 points back. The final weekend was Indy, and the only chance the guys had was to just win. They went to the finals in the first race, barely losing in a photo finish, which helped them cut the points lead to 160 points. Christian then went on to win Race #2, further cutting the lead to 80 points. Then came the final race on Sunday – Christian had to win it to even have a chance at the Championship, and that’s just what he did! With the win, he was able to tie for 1st place. The tie-breaker for the championship was total number of races won. Christian had 3 wins, while his co-leader only had 1, making Christian and Team BIGFOOT the 2018 Champions! The 4-Wheel Jamboree Championships do not come easy, nor do we ever take them for granted, so we want to thank each and every one of our BIGFOOT family for making this a reality! And, of course, thanks to all of our fans and our great sponsors for your support. A special shot out to RB for being with everyone – this was for you Big Man!